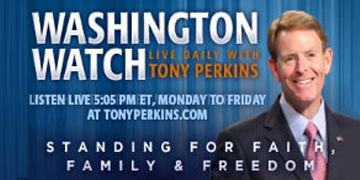 On Monday's edition of "Washington Watch with Tony Perkins" Washington Watch producer, Russ Jones, guest hosts for Tony. Rachel Alexander, the former Arizona Assistant Attorney General, and now senior editor of The Stream and a Townhall contributor, joins our guest host to weigh in on the tight midterm race in Arizona, as well as the migrant caravan pushing on toward the southern border. Former Louisiana State Senator and candidate for Louisiana Secretary of State, A.G. Crowe, is here to discuss an investigation into the possible destruction of evidence in child abuse cases by abortion facilities. Also, a senior attorney with the Liberty Counsel, Richard Mast, joins Tony with the story of two Florida physical education teachers that were ordered to allow a girl who identifies as a boy to share locker room and shower facilities with biological boys.